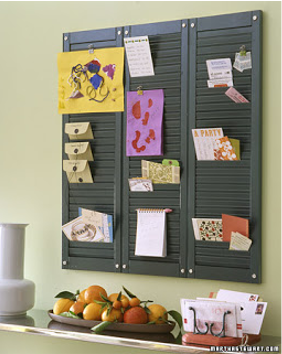 This wonderful wall display was put together by Vintage Indie. Click here to see how it was done. 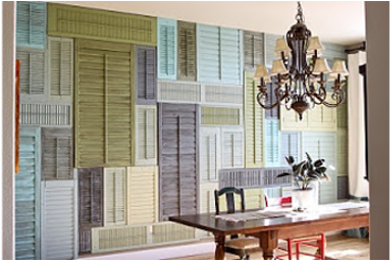 Check out this entire wall covered in shutters found at Olive and Love. I have never seen this before and I have to say... I love it!! Click here to see how it was done. 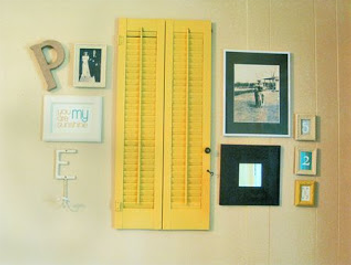 Love the wall of shutters! 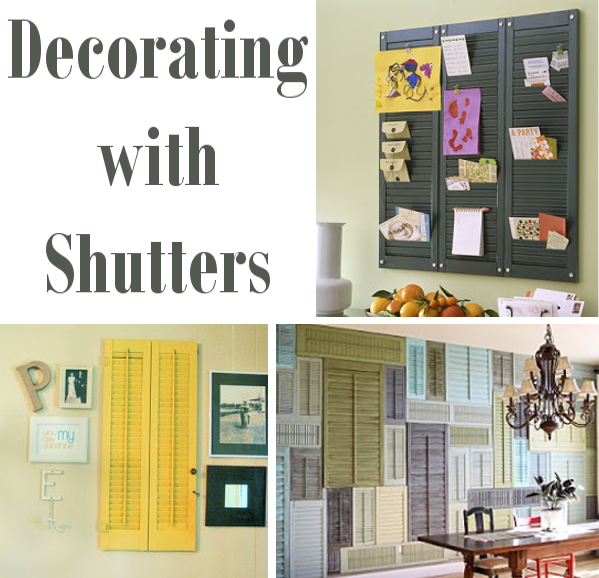 Great idea with the shutters! I especially like Martha's project, thanks for the link!